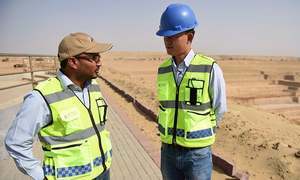 $18.9 billion have been invested in these projects, states a progress report issued by the Chinese embassy. Smokers' Corner: How did Pakistan and China become close allies? 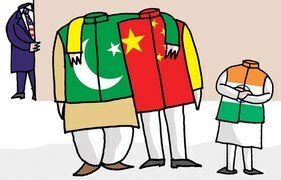 A history of early Pak-China relations shows India, US were key players and catalysts in forming ties that exist today. 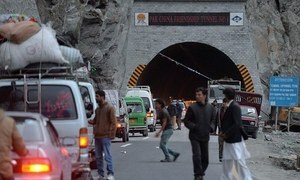 Special economic zone will be set up near Gilgit. 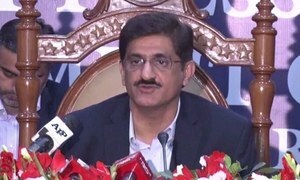 The JWG will also take up socioeconomic development in Thar. 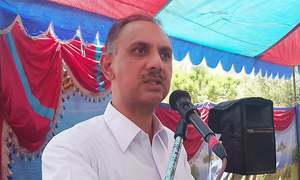 Balochistan information minister claims Chinese government would provide 20,000 scholarships to Pakistani students. Centre asked to form national commission to look into alleged unjust distribution of mega projects. 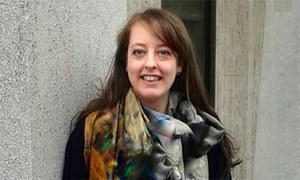 British envoy says UK is keen to participate in opportunities the mega project offers. Ties to be enhanced in the fields of textiles, petrochemicals, iron, mines and minerals. 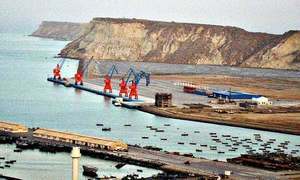 CPEC is in spotlight again as Balochistan has expressed concerns regarding existence of its western route. 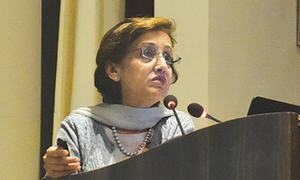 US official says purpose of economic engagement with Pakistan is to ensure it is not a failure, stops being poor. 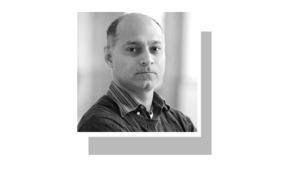 Securing Pakistan’s interests is what this party campaigned heavily on. 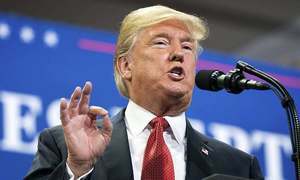 Now comes the time to deliver on that promise. 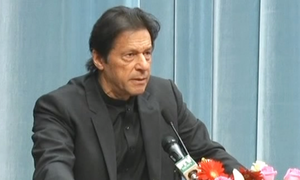 "Pakistan's relationship with Saudi Arabia goes back half-a-century and has got nothing to do with Yemen or Khashoggi." 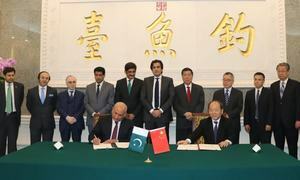 Balochistan's grievances need to be taken to Islamabad and programmed into whatever agenda govt takes to China. 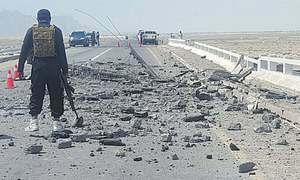 Findings of CPEC-related cell should rightly be a source of extreme consternation for Balochistan. 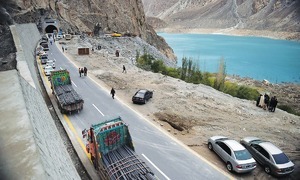 Deadlines for financial close of Matiari-Lahore transmission line and Gwadar coal project now in February and August. 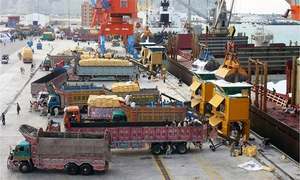 Cabinet members call CPEC spending "a joke", blast previous government for inaction. 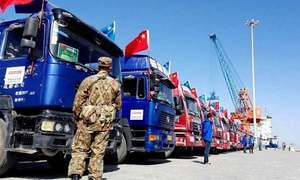 "Pakistan remains committed to the successful implementation of CPEC,” says Foreign Office statement. 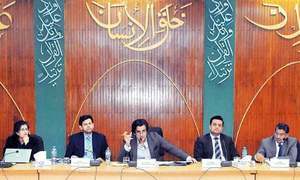 Provincial government says only two projects have been approved for Balochistan in past five years. 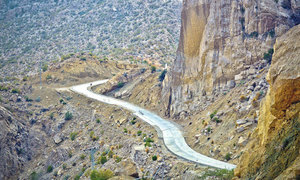 BAP founder says Balochistan's people and government have no knowledge of development projects in the province. Mir Saleem Ahmed Khosa vows government will "not sit comfortably till all issues of the people are resolved". 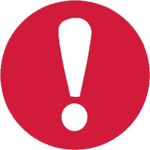 No official update from government regarding status of announced export package. The joint statement and the continuing dialogue do not indicate a shift in CPEC strategy. The coal in Thar is lignite, notorious for poor energy efficiency and high carbon dioxide emissions. 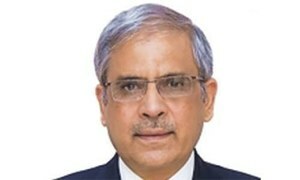 State Bank of Pakistan Governor Tariq Bajwa and Secretary Finance Arif Ahmed Khan are part of the delegation. 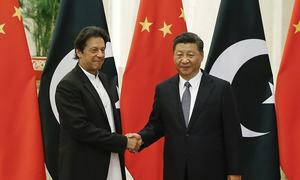 The visit to Beijing was a sobering moment for Imran Khan, whose body language appeared fidgety and nervous. 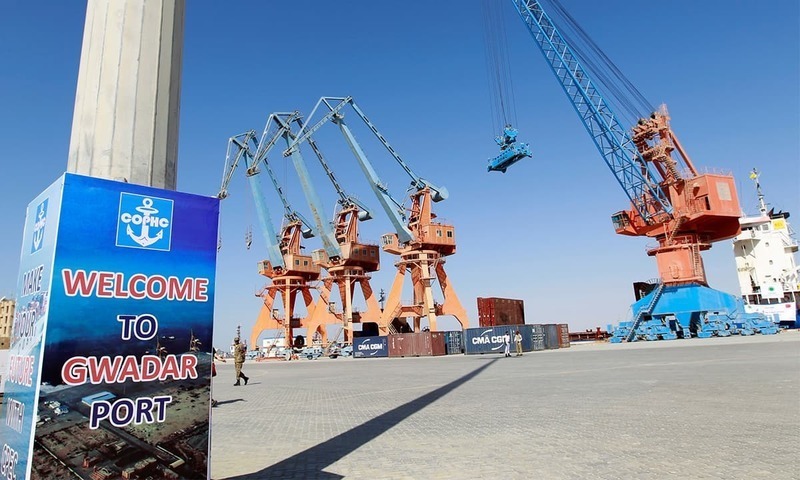 Pakistan doesn't understand the Chinese conceptualisation of CPEC. 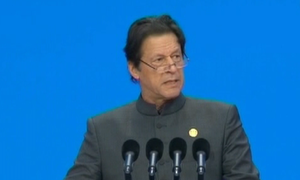 PM highlights Pakistan's importance in China's BRI, says Naya Pakistan will be a "conducive" place for business. 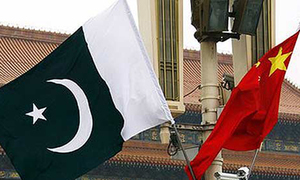 Pak-China ties will be significantly deepened across a range of areas, as per the statement issued by both countries. "The stronger the state institutions, the lesser the corruption," says premier in a speech in Beijing. Senior Chinese official says there are no plans to scale back CPEC, but it will tilt in favour of people's lives.